This web page is dedicated to all A.S.L.E.F. 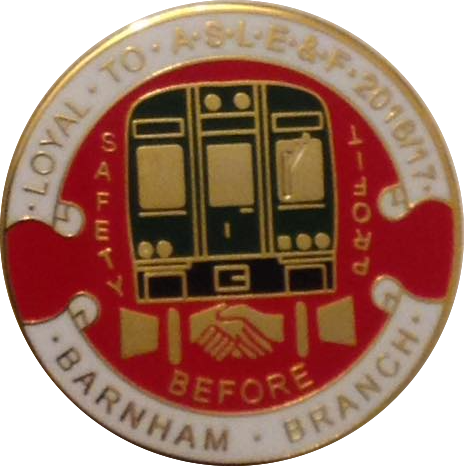 members who have worked at Barnham depot over the years, and it features A.S.L.E.F. 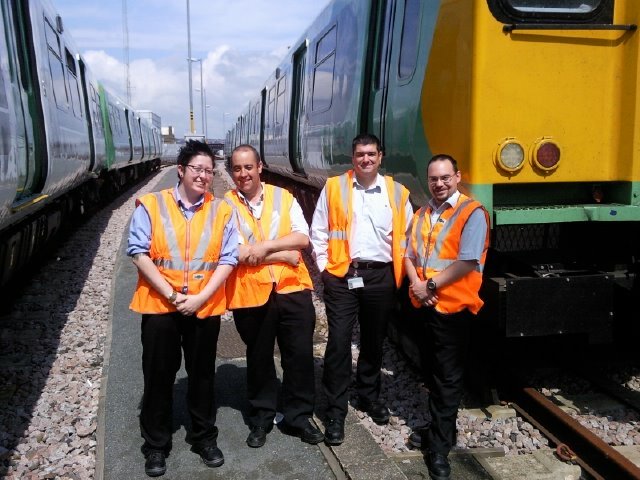 members who brought the trains of Barnham to life. I am trying to find out the names of the A.S.L.E.F. 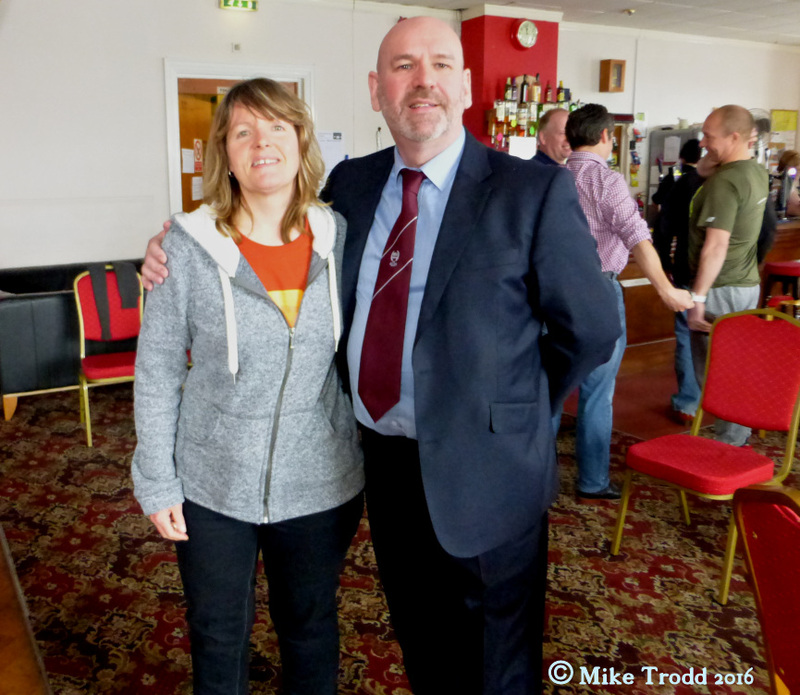 Branch Secretaries for the Barnham Branch and the dates they served between. if you have any info please can you let me know. 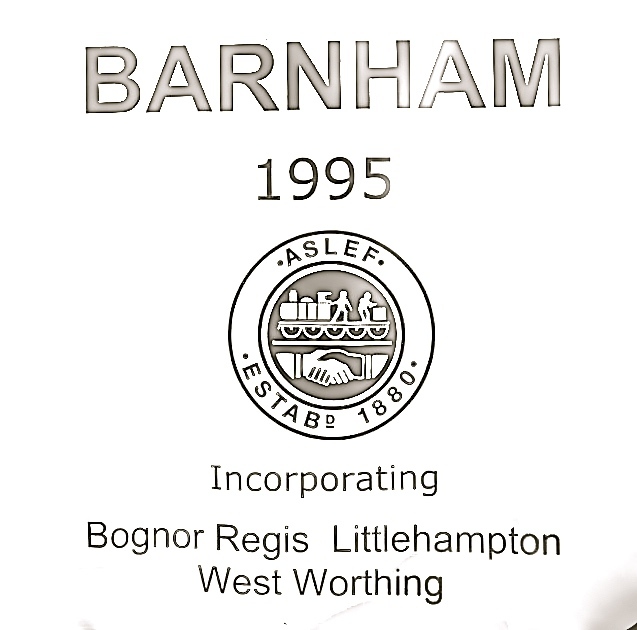 Barnham (E.M.U.T.) depot was opened in 1995 and was created by the closure of the neighbouring E.M.U.T. depots of Bognor Regis, Littlehampton & West Worthing. 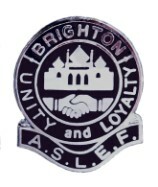 The Barnham branch of ASLEF was founded in May 1995. 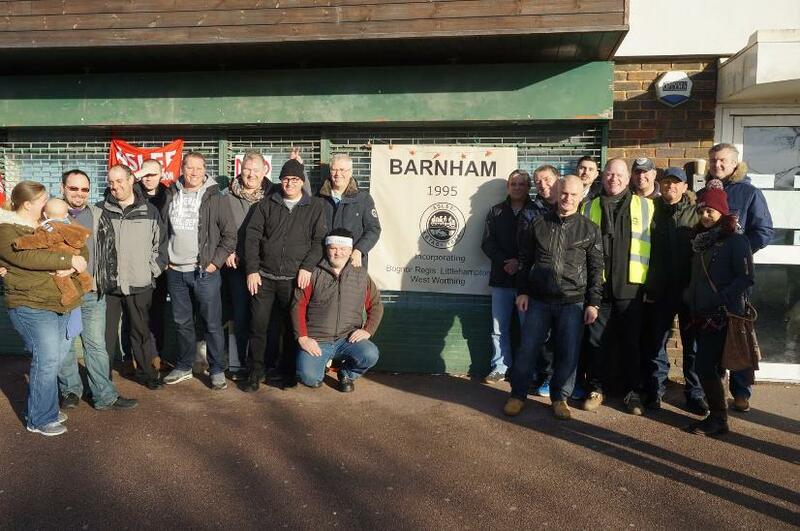 Mick Rix became the first General Secretary to visit the Barnham branch when, along with Executive Committee member Bill MacKenzie and District Secretary Len Warboys, he addressed a well attended meeting 1 February, in what is becoming an annual event for this ever-growing Branch. 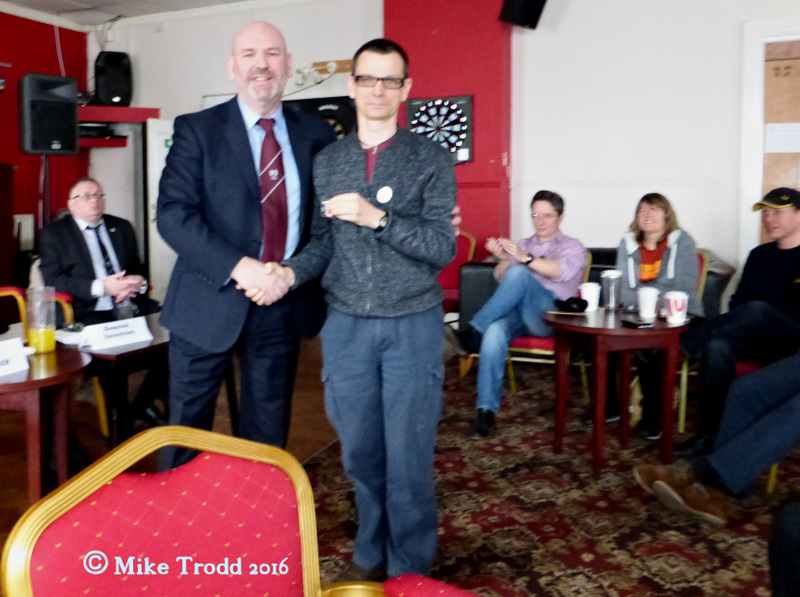 After presenting long service badges to four of our members, the 27 members present, including a visitor from Brighton Branch and C.S.C. Company Council Reps., heard our G.S. give a highly informative address, covering a wide range of issues, many of which reflected a central theme of the solidarity, professionalism, and strength throughout the Society. One particular item that interested our Driver members, were the recent negotiated improvements on W.A.G.N. Although hesitant to use the word “benchmark”, a consensus was that these improvements could be reflected elsewhere. 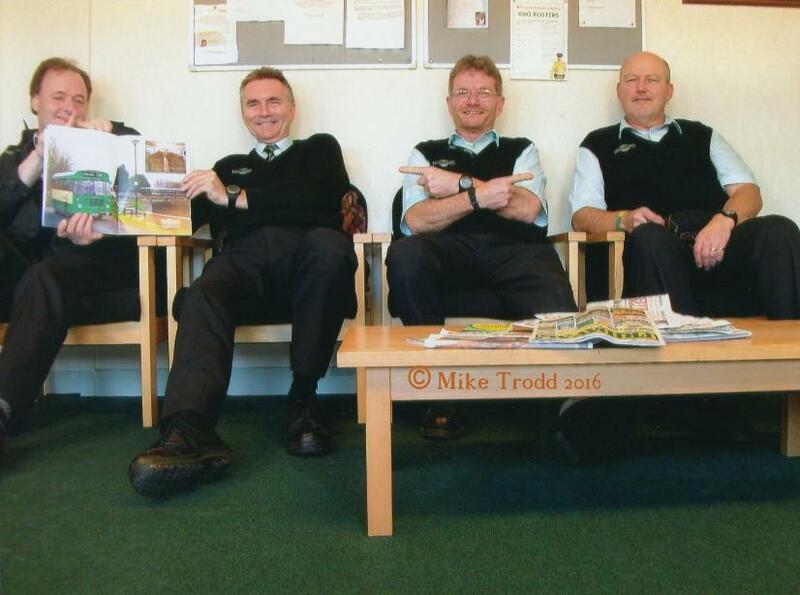 Following his address, the Chair invited questions to Mick Rix, many of which seemed to become entrenched in the thorny issue of the cessation of rest day working. 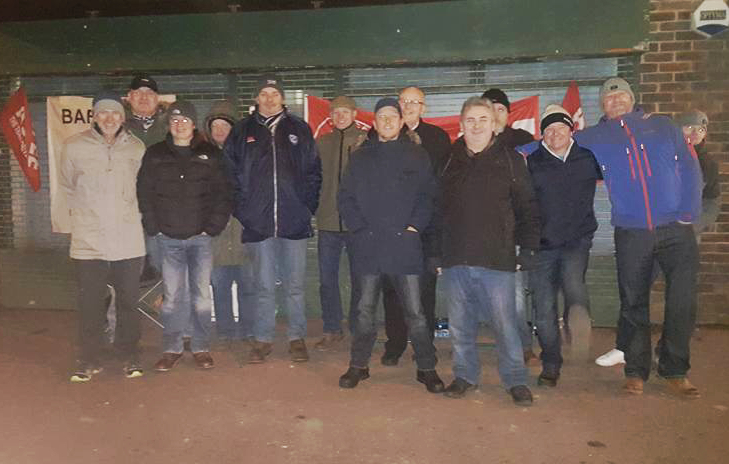 The branch’s Conductors’ Sub-Committee secretary opened the round of questions, by asking about the future of Conductors within the Society and although not shying away from the question, many felt that a definitive answer was not given. It was during these questions that Bill MacKenzie on his second visit in less than a yea, addressed the Branch, albeit briefly, on the rest day working situation, and how A.T.O.C. may, in the long term, be looking towards the reinstatement of a national P.T.&R. agreement. Bill also informed us that work was still on-going with the clarification of the T.U.C. Disputes Committee award. 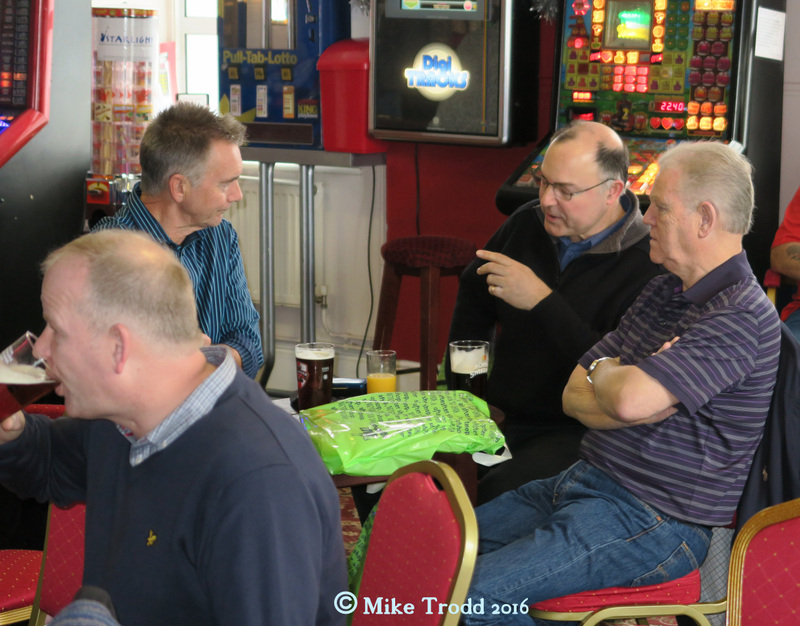 Bill responded to a handful of questions in his usual inimitable fashion, and even Len Warboys, who had assured the Branch Secretary that he did not intend to address the meeting, spoke with his usual passion on a number of issues. (Well they say ‘you can’t keep a good man down!’). 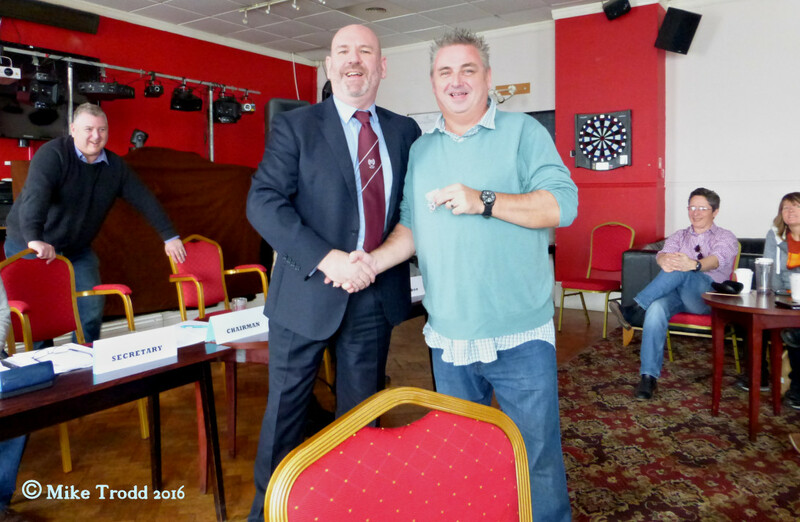 Unfortunately,due to urgent Society business the following morning, Mick Rix had to depart from the meeting early. 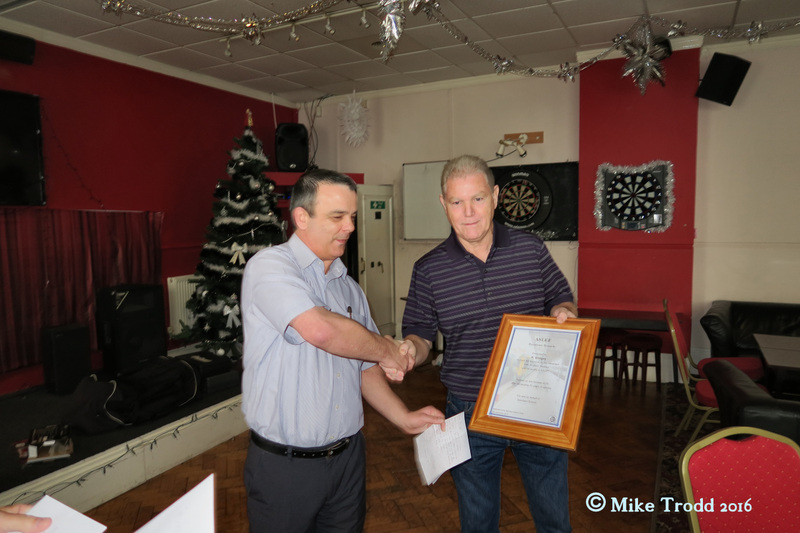 Following a unanimously carried vote of thanks, the branch was presented with a certificate to mark his attendance to Barnham, saying that he hoped that he would be invited again and then posed for a photograph with those present (thanks, Simon!). Once the meeting had settled again, question to Bill and Len continued, with Company Council being “dragged” in , following a question from the Sub-Committee secretary on the increase in staff assaults along the Coastway West line. Management’s priority seems to be offering rewards for information on those who damage the trains, while those who have been assaulted do not even warrant a mention in despatches! 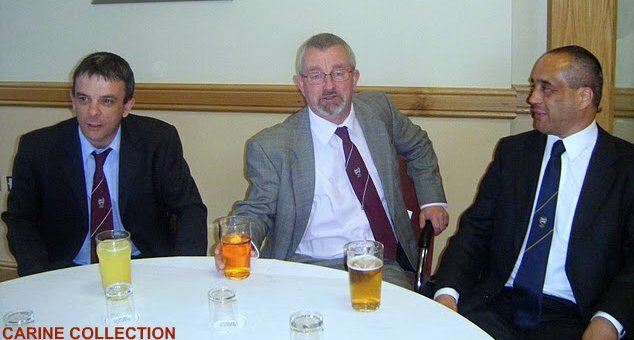 The discussion raged for a good 40 minutes, with all those present getting involved, some more vehemently than others, and when Bill asked what action was desired should this issue eventually find its way before the Executive Committee, he was left in no doubt as to the answer! 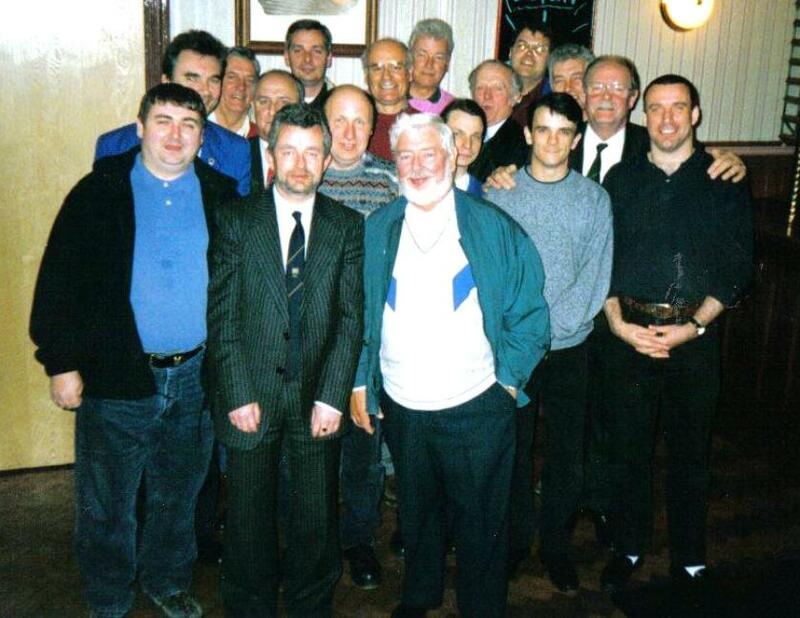 The newly formed Barnham Branch visit to ASLEF Head Office c1995. 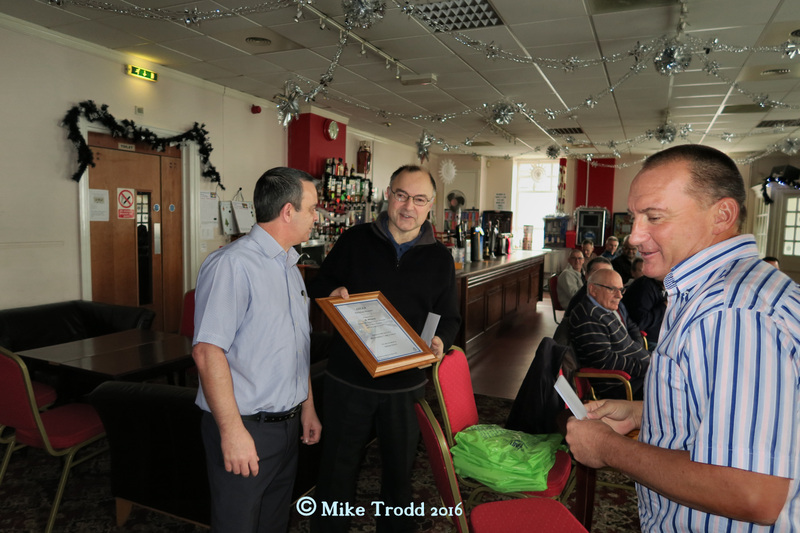 Train crew gathered at Bongor Regis on 23 February to say farewell to Terry Whiffen who opted to retire early after 36 years railway service. We wish him well. 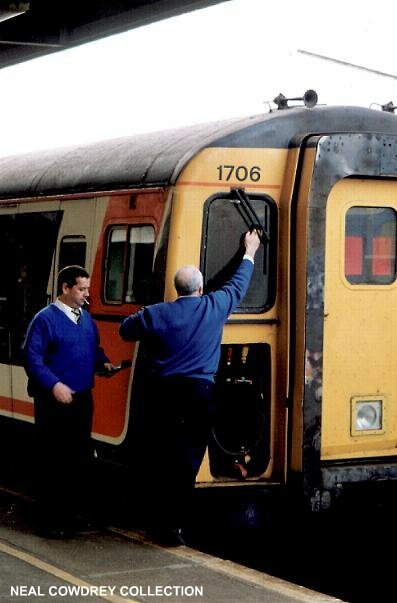 Terry joined the railway in 1971, gaining promotion through grade to driver at Victoria Eastern, Bognor Regis and finally Barnham. After giving an update on Greyrigg and the Bob Morgan case, Andy Reed presented Terry with gift vouchers and his ASLEF retirement certificate. Having retired from the industry on 11 July 1998, I would like to thank the union very much for the 50 year medallion that the General Secretary sent to me recently. It has given me and my wife Rosie a lot of pleasure. Congratulations to Marz Colombini following his election to the Executive Committee. The election was, I believe, fought vigorously but fairly by all candidates, avoiding dirty tricks or personal attacks. Although I’m obviously disappointed to have been an unsuccessful candidate I’m sure Brother Colombini will be a strong voice on the ruling body of our great union. My commiserations also to Brother Sheehan. I look forward, as do my fellow A.S.L.E.F. representatives and activists I am sure, to working in the spirit of openness, transparency and democracy that are the watch-words of successful and progressive trade unionism. 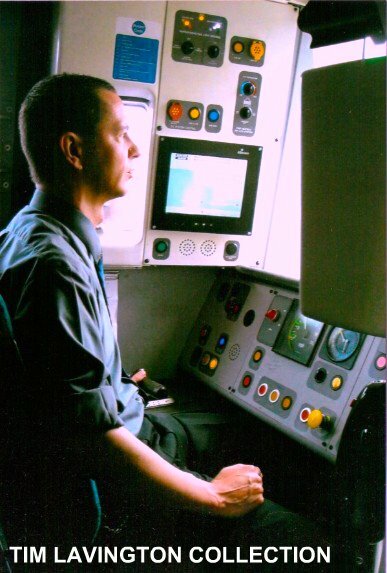 AFTER joining the railway in 2000 working for Connex, I had three enjoyable years driving the slam-door 400 series. Then the 375 Electrostar units were foisted on us. After 18 months driving them I began to have problems in my left arm which was, in 2005, diagnosed as ‘golfer’s elbow’, a repetitive strain injury. I’ve had three years off-track under Southern and two operations. Now I’ve been sacked on the grounds of incapability. 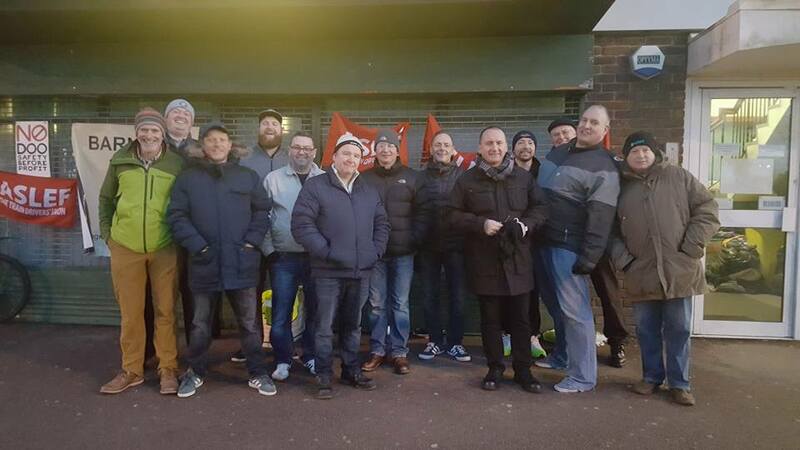 I’D LIKE to congratulate the ASLEF leadership for their decision, published in the previous edition of the Journal, to become active in the franchising process. Of course, it is unlikely that the government would allow us as a trade union to be instrumental in running a franchise, but I do applaud the move towards such a campaigning strategy. I feel vindicated as I proposed exactly the same strategy when standing for election to the Executive Committee last year. I spoke on this issue at a number of District 1 branch meetings and the idea was well-received. It makes sense that the communities who are served by the railways are allowed to have a stake in the direction in which their operation is taken. 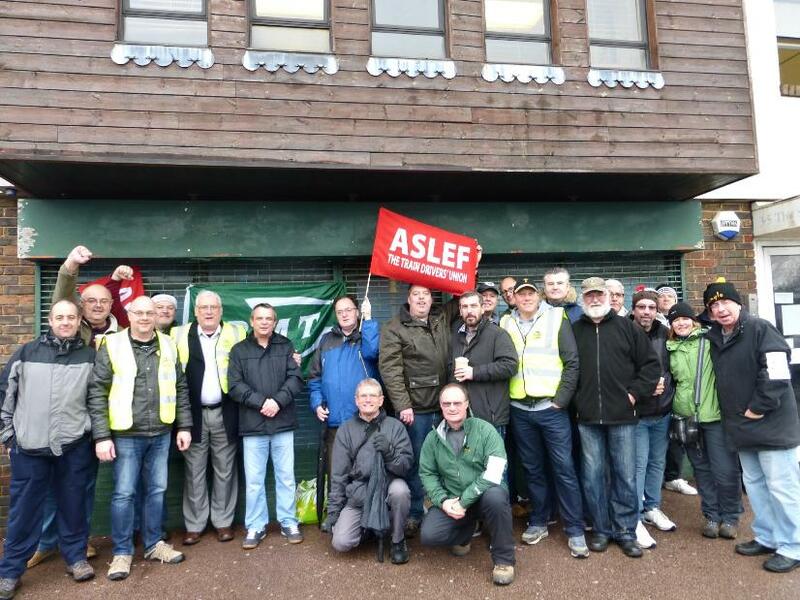 ASLEF is just such a community – of highly trained, proud and professional train drivers who know where the current system is going wrong through our own daily experiences. Cooperatives running franchises would remove the embedded obsession with profit, profit and more profit, and instead allow a greater focus on investment in and improvements to operations, safety, ergonomic cab design, social responsibility, customer care, pay, terms and conditions, and so on. This is also guaranteed to garner substantial press interest if handled the right way, not only from the screaming doom merchants in the Daily Mail et al, but also from the more sympathetic news outlets. 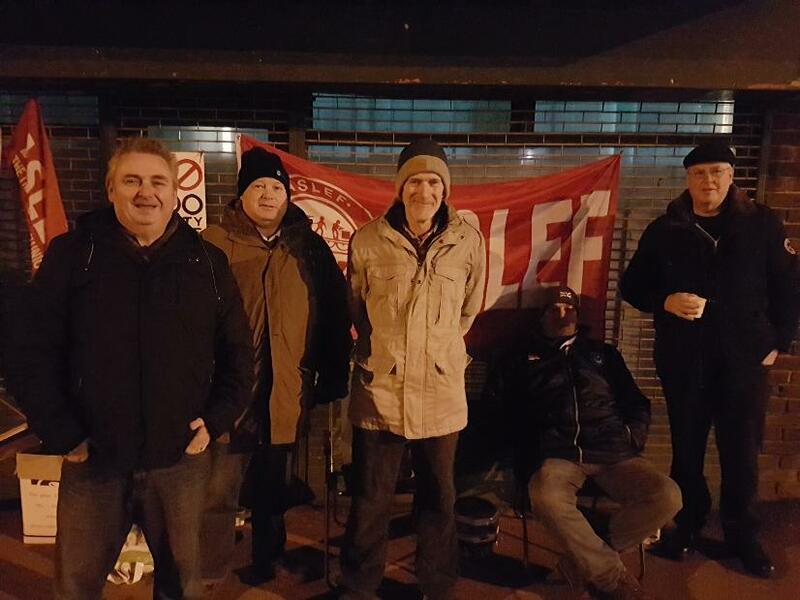 I have been saying for a long time that ASLEF needs a higher media profile than we have currently. 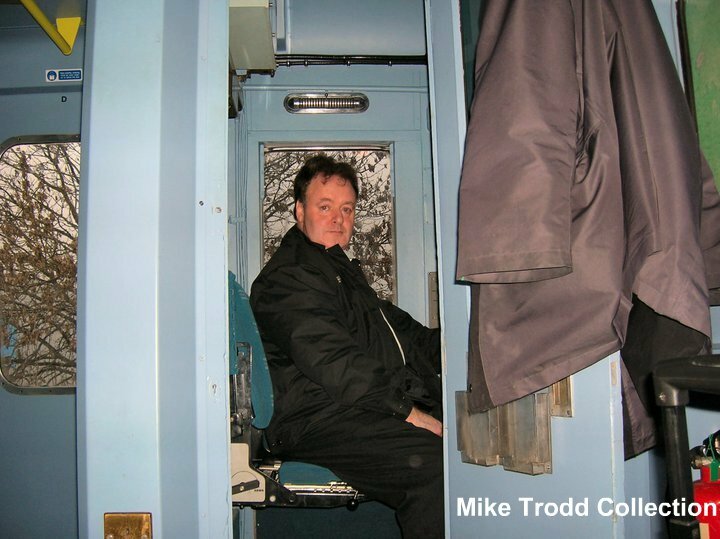 Bob Crow is not the voice of the railways, and it is a tragedy that ASLEF should allow the massed media to cast him as such without taking steps to redress the balance. In order to achieve this we need innovative campaigning strategies, and proactive leadership. ASLEF is the only sensible choice for professional Train Drivers but we need to show why this is true. If this initiative is the first welcome step towards that long awaited higher media presence, and modern, innovative campaigning I welcome it, and I offer my time and support in pursuit of such an aim, no matter how overdue it may be. It is with sadness that I relate the passing away of four retired South Coast drivers. The funeral of each was well attended. Norman Tendall’s funeral took place on 10th February. 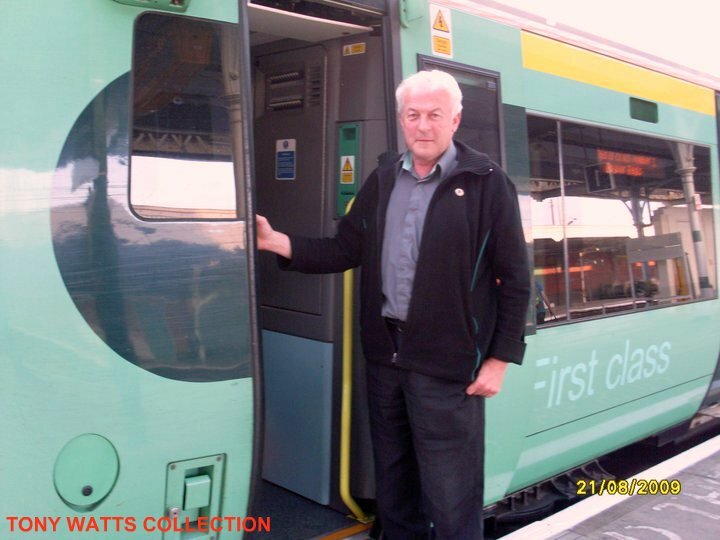 His rail career started in the late 1940s at Brighton and he retired at Littlehampton EMUT deport. Norman was 83 years old. Lew Churcher has also died aged 83. 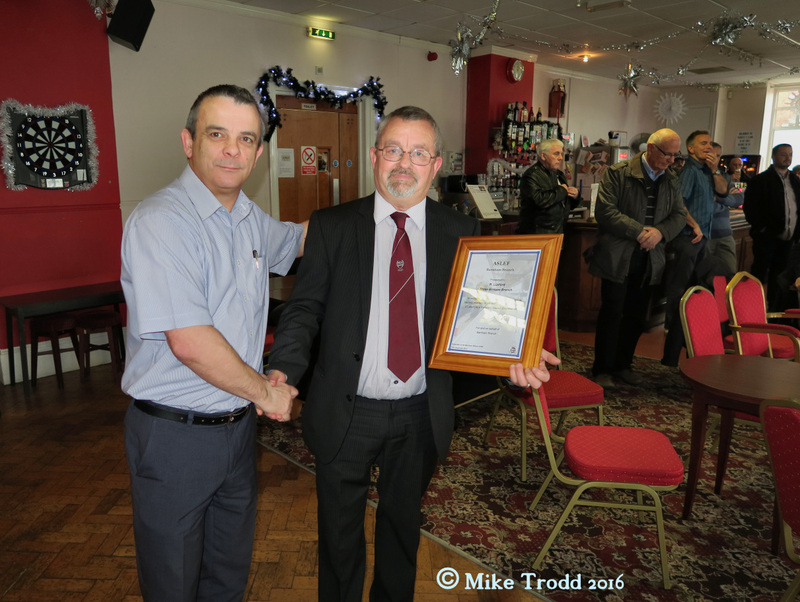 Lew’s railway career centred on Brighton and he retired fromWestWorthing EMUT depot. His funeral took place on 24th February. Harold Stokes was buried at Chichester on 10th March. He began work for the railways at Horsham Motive Power depot before moving first toWallington EMUT depot and finally to Bognor Regis EMUT depot. Harold was 81. 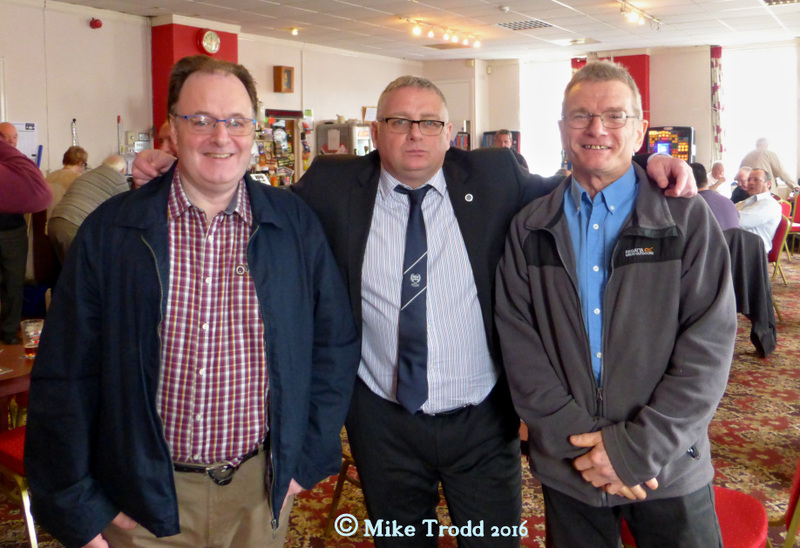 Stan Jannaway’s funeral took place on 11th March atWorthing . 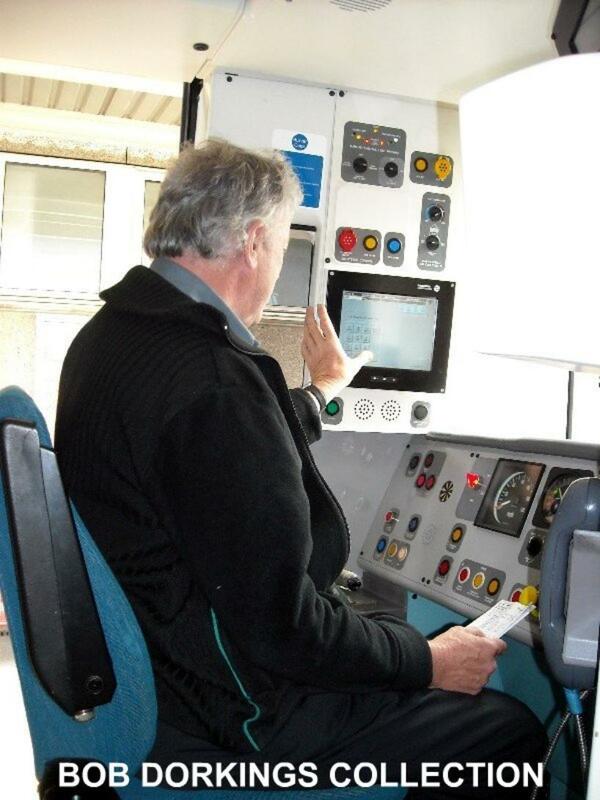 He began at Bognor Regis MPD before moving to Brighton Motive Power. He ended his career at Littlehampton E.M.U.T. depot. I’m sorry I don’t have details of start and retirement dates for these former colleagues. ‘Snow way’ our A.G.M. was being cancelled! 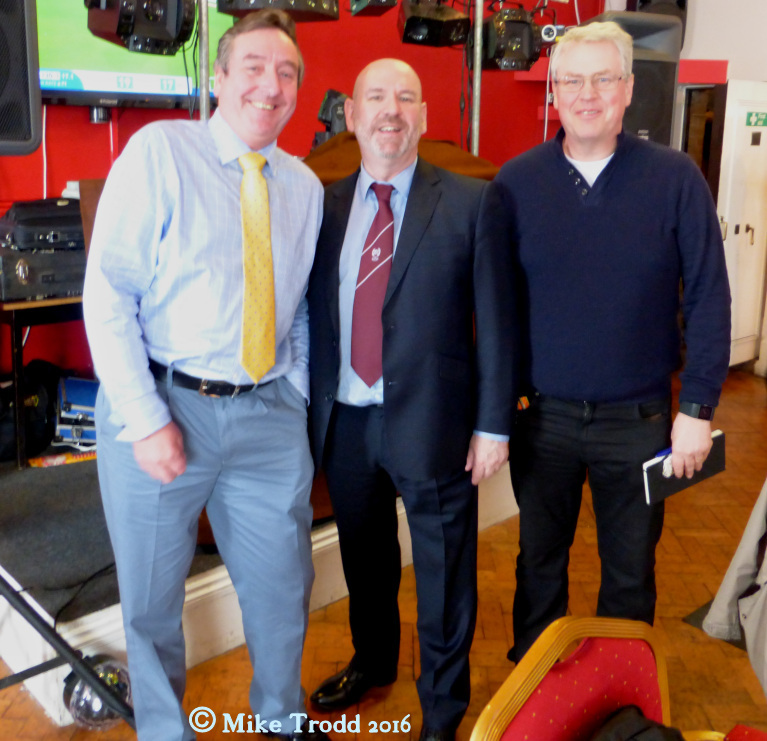 BARNHAM’S AGM and retirement presentation seemed to be one of the few events that survived the winter elements. Many members were unable to attend due to the poor weather conditions - but those who did fight the elements were treated to Bob Taylor’s own special brand of retirement speeches. 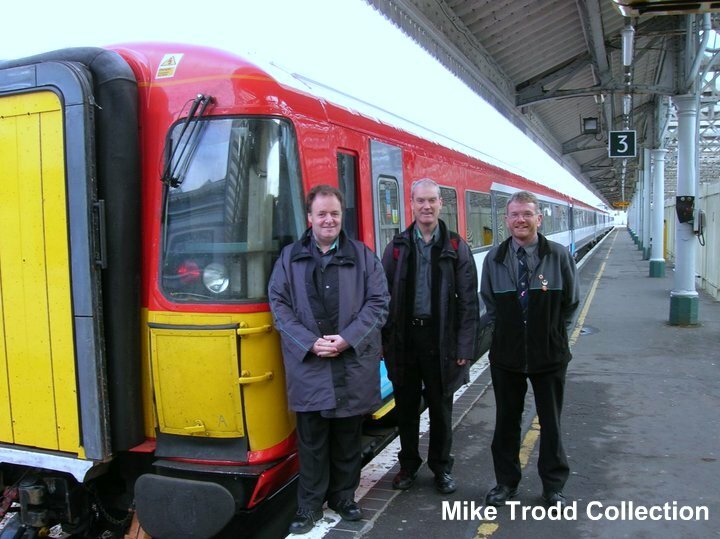 Bob – an ex LDC and equal opportunity rep - said good bye to the railway after 27 years service. 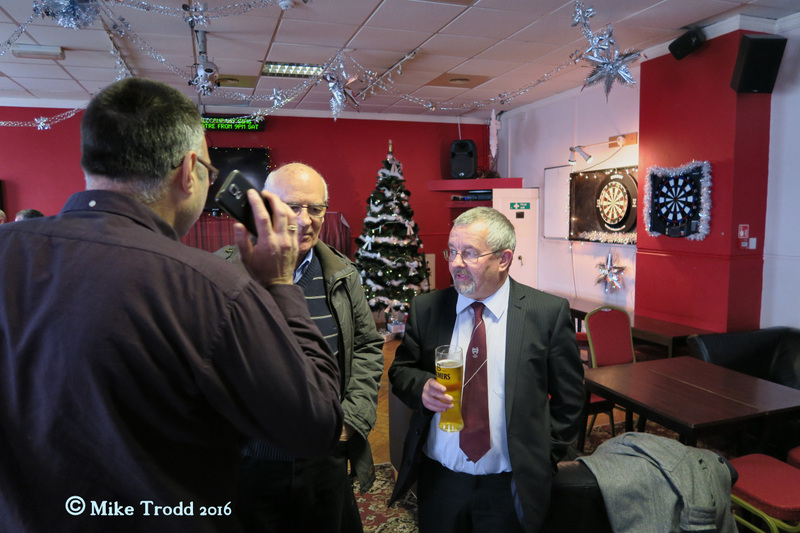 Barnham was also celebrating the retirement of Tony Watt, another loyal ASLEF member who was saying goodbye after 49 years. Tony is looking forward to spending more time with his family and enjoying days out across the network, so you may see him on a train near you soon. Barnham branch would like to send their best wishes to both Bob and Tony, and wish them a very happy retirement. 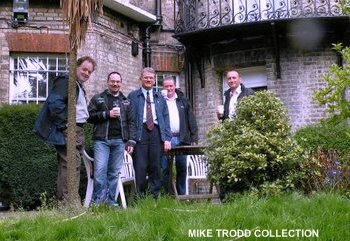 Left ~ Right; Mark Capelin, Steve Braithwaite, Alec (Dolly ) Gray, Bob Dorkings & Graham Lawrence. Graham entered the footplate grades on the 12th February 1973 at Brighton. 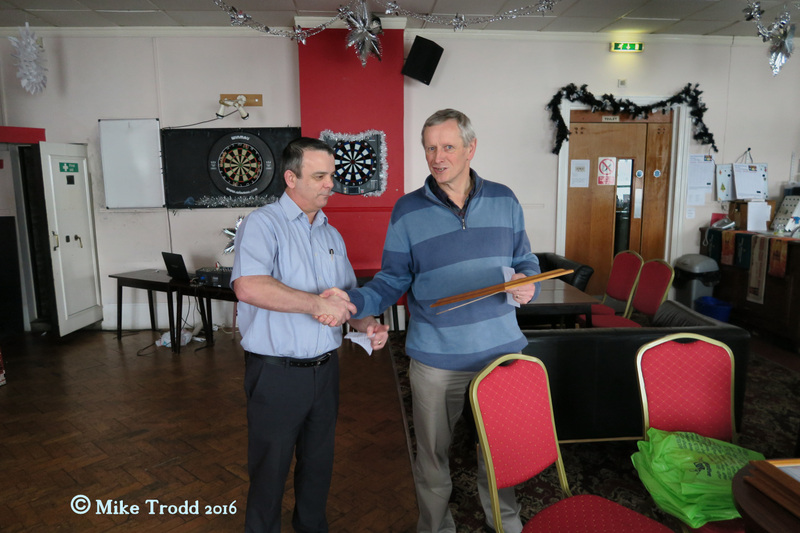 Graham sort promotion to driver at West Croydon E.M.U.T. and moving back to Brighton E.M.U.T a few years later. By the late 1990s Graham had decided to transfer to Barnham depot where he remained until ill health forced him in to early retirement. 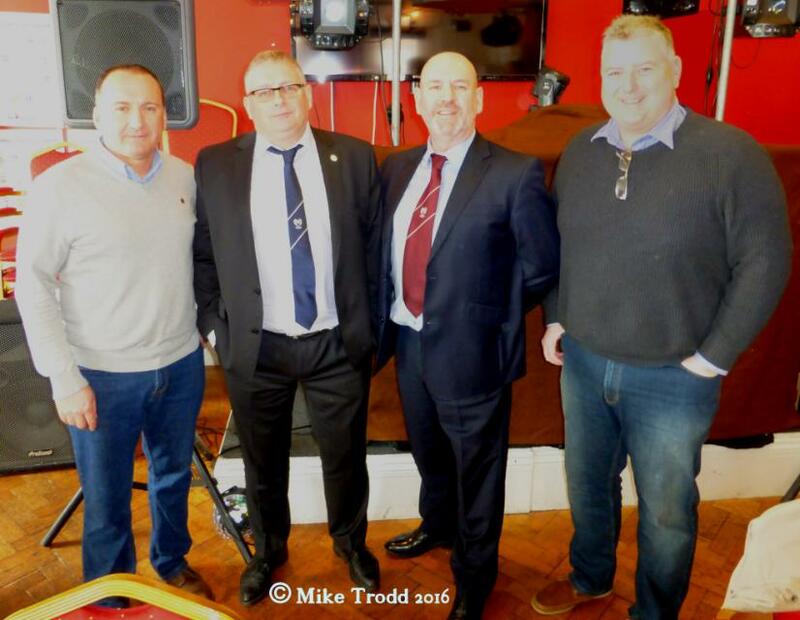 Mike Trodd, Andy Healey & Bob Dorkings. Photographed at Eastbourne whilst on their 442 training course. 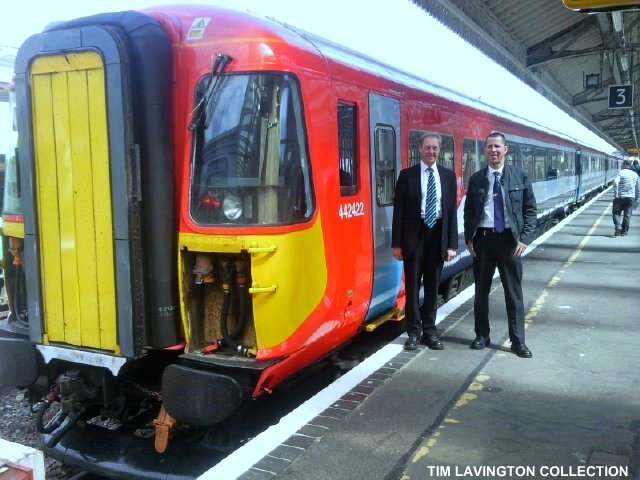 Class 313 conversion course August 2011. It is with great sadness that I report that Barnham Driver Jason Clarke passed away on 20 January aged 42 after a short illness. 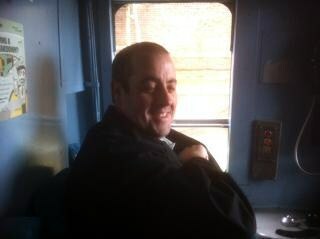 Jason worked for Southern railway as a driver and was a real joy to be around. 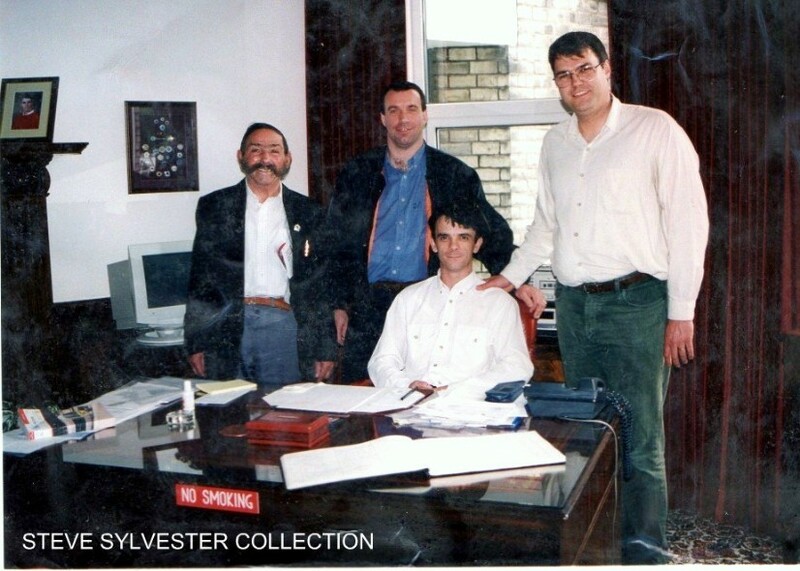 He had many interests which included being a Tottenham supporter, walking and socialising with his many work mates. 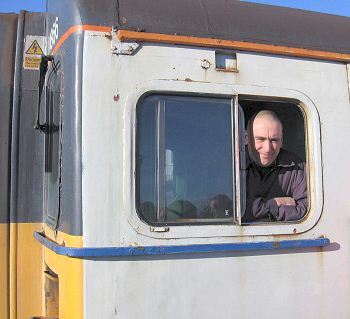 He will be sadly missed by all his family, friends and those who knew him on the railway. Jason was a ‘top bloke’, truly one of us. He was never shy to help others. R.I.P Jason. 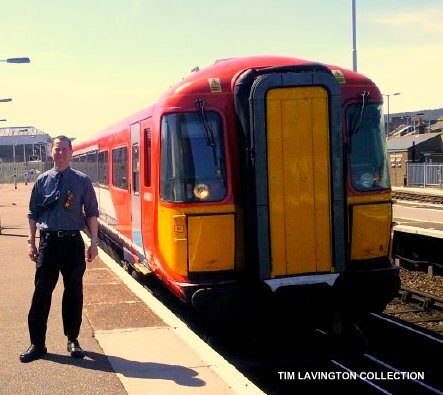 After 31 years - the first 22 in the footplate line of promotion - I am redundant from the railway industry. All good things come to an end at some point and i am content with the outcome. I’d like to thank iain Anderson (a TSSA rep,as my last role was clerical), Godric Jolliffe of thompsons, District Organiser Graham Morris and especially ASLEF’s Kevin Eade for the support they gave to me throughout the process. Thanks too to everyone I have worked with during my career. It’s always the people - not the content - that makes coming to work more than just something that has to be done. I read with interest the General Secretary’s report in last month's Journal into the West Coast franchise debacle. I remember attending the AAD some years ago when National Organiser Simon Weller told conference that ASLEF had plans to bid for one of these franchises. As he said, this wouldn't have cost ASLEF any significant amount of money - and could have helped to prove that this indeed is a flawed process. The floor didn’t agree, but I welcomed the fact that the union wanted to highlight the shenanigans that most people inside the railway industry who care about its future believe goes on when awarding franchises. I hope the government start asking serious questions - and hold winning bidders (and part-time guardians of this great industry) accountable for what they leave behind. Bidders should be asked. What are they doing to improve services for the benefit of all passengers at a cost that everybody can afford? What is their strategy on job creation (for all grades) inside the industry? It shouldn't be about the cheapest bid, because the cheapest bid comes with its own costs – the loss of jobs across the rail industry – a serious issue that the whole UK now faces. So well done Sir Richard Branson for challenging what was clearly a complete shambles. If it weren’t for him this unsatisfactory process would still be taking place – and we'd all be guilty of not being bold enough to ask the ‘Big Questions’. I think any money ASLEF spends on challenging things that affects train drivers, railway staff and the greater good of the UK is money well spent. In finishing I would like to add for the record that my wife has never taken any speeding points for myself - and I've no intention of ever asking her to do so! What does UKIP really mean? I was disappointed to read the general Secretary's article in April's Journal. he stated he didn't want to be over-dramatic when describing germany's political position in the 1930s. Yes, the german citizens did lose faith in the political process - but this was caused by high levels of unemployment, economic depression and the fact that families were starving and on the streets. this doesn't sound too dissimilar to what's happening in parts of europe now. Could this be down to Mr barroso and his friend, with their ‘euro-vision’ which is ausing so much pain in europe, particularly with the young? If the GS is looking for historical links between hitler and our political parties – well, hitler was a politician who was thrown into prison for a criminal act. Sadly this is all too familiar today. I’m certainly losing faith with politics when MPs show nothing but contempt for us and the law, like the ex-eastleigh Member of Parliament. But i disagree with the gS’s analogy of what UKIP ‘really’ means. UKIP took a decision to vote against the resolution on asbestos, which was their democratic right. if we are to believe these people are dangerous, what does that make a labour government that entered into an illegal war with iraq in 2003 and the same labour government that commissioned the Mcnulty report? Dangers come in all colours and until this labour Party returns to its true core values, voters will continue to look elsewhere for answers. 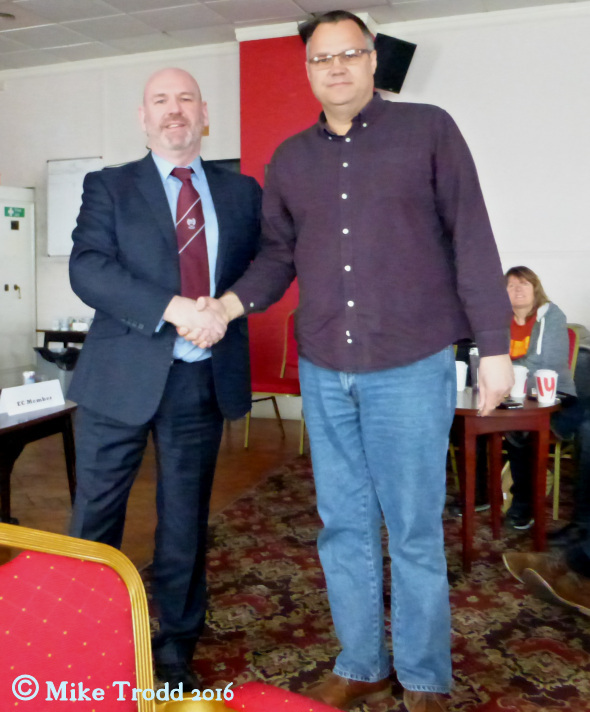 I would like to thank ASLEF for the opportunity to attend a public speaking course, which was advertised by a circular, at the Workers’ Education Association in London. I found it very informative and entertaining. My wife and I also took up the offer of a free will writing service; a straightforward process which saved us £130 on the price quoted by a local solicitor. 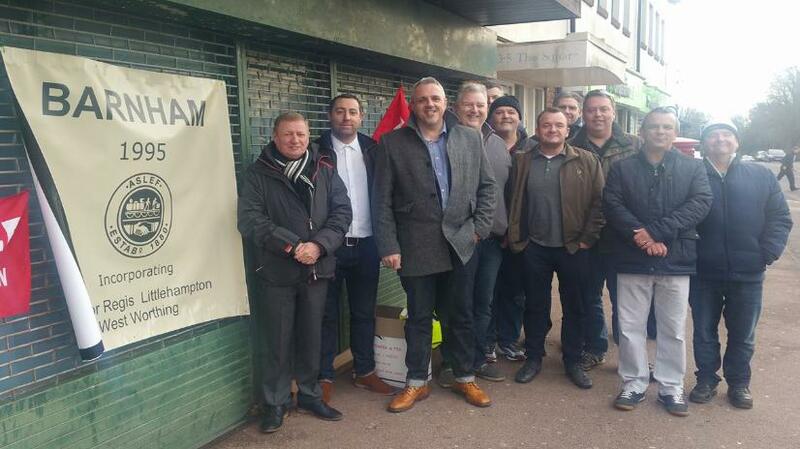 I want to thank all the ASLEF members at Barnham for all the support that they’ve shown me. I was unfortunately involved in my first incident after eight months of driving. Because of the nature of the incident, I was facing 12 weeks’ notice. But for the support of my driver colleagues, staff reps, particularly Jeff Turner and my company council reps, Kevin Eade, and a special mention to Paul Donnelly, I would no longer be in the driving grade. 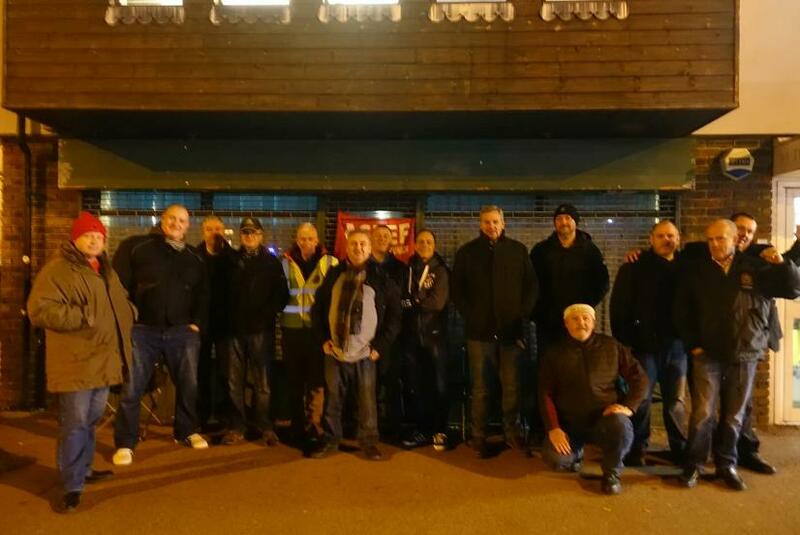 When I joined ASLEF, I didn’t know how important being a member of a trade union would be. I do now. Clearly the best investment I’ve ever made. Thanks again. We stand on the brink as GTR seems hell bent on imposing DOO and I want to address my fellow drivers on this. It can’t have escaped your notice that TOCs up and down the land are drawing up plans to impose DOO(P). The excuse usually offered is ‘it’s part of the contract agreement’ or ‘the McNulty report’. That report will, in time, be regarded as bad as Beeching; but it does not demand DOO, only recommends it. DOO is not modern or safe (and there can be no cost put on safety). The reason for DOO is to boost company profits. But drivers need to be left alone to concentrate on driving, in an ever more demanding role, safe in the knowledge that they have with them a fully trained PTS- capable professional conductor/guard who will assist them in an emergency, or who can take charge if the driver is incapacitated. I’d remind you of our general secretary’s statement that there is to be no extension to DOO(P). And we should be looking to revisit what there already is. Those of you who work DOO(P) were probably never given a choice, but must feel it would be safer to have a guard with you. I urge you to consider this well. Because people in years to come will ask if we did all we could for the good of the railway and the safety of the travelling public? You will have read that no matter what company policies are in place, the Offences Against the Person Act 1861 can be used by the CPS to prosecute you if someone is killed or injured as a result of your moving train! We need to view with utter disdain the threat to the livelihoods of our conductor/guards. We need PTS qualified conductor/guards on all passenger trains, where they can follow the dispatch regulations, can clearly see the platform and are ready to stop the train in an emergency. 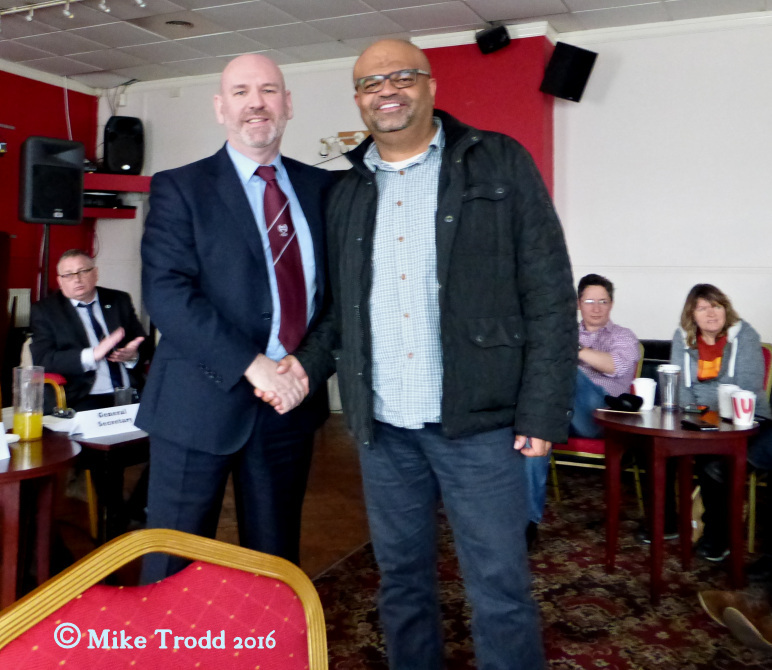 Barnham branch was delighted to welcome GS Mick Whelan and EC1 Marz Colombini to its meeting on Sunday 3 April. Mick delivered a passionate speech regarding current ASLEF concerns including DOO, the challenges facing our freight sector drivers, the threat to the steel industry, the politics behind protecting our membership, DfT Wilkinson’s attack on our members, and the reasoning behind ASLEF’s position on our pensions. Mick took questions from the floor, largely on GTR’s plans to increase DOO, and we were left in no doubt that ASLEF would not allow any extension. Where there is currently no DOO, there will be no DOO. 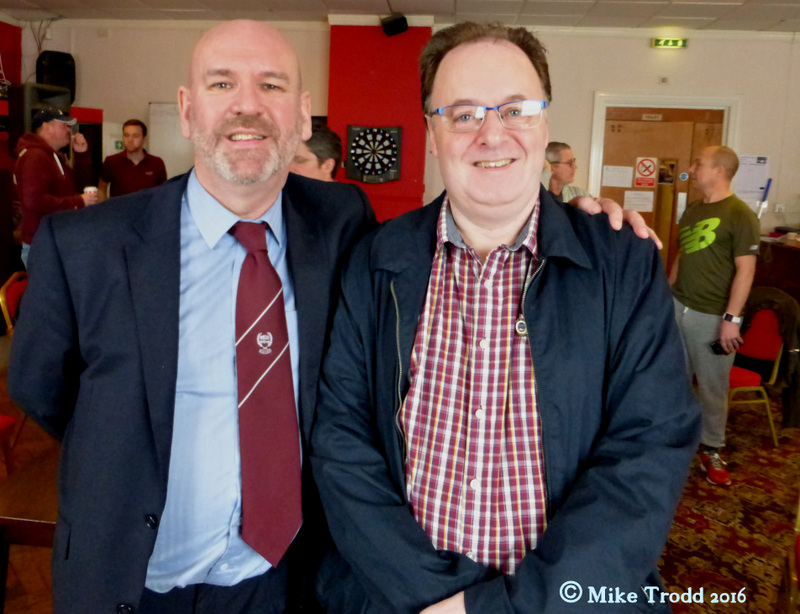 Thanks to Mick and Marz for attending, to branch secretary Jeff Turner for making the arrangements, and his wife for providing the high standard buffet. 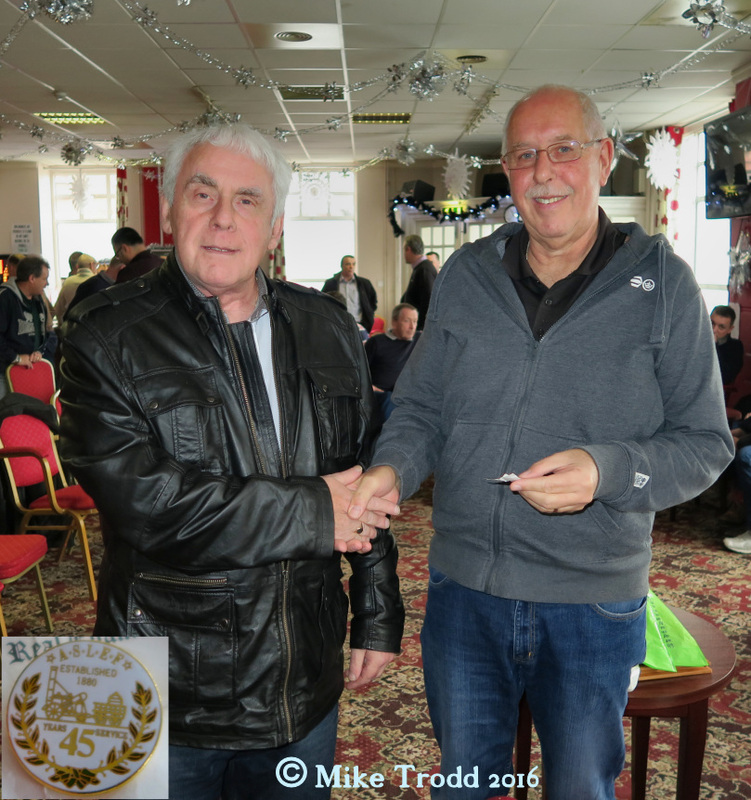 Tony Martin got his 45 year badge – a very great achievement – he’s a lovely chap, and loyal member, who spent some time at King’s Cross and often delights us with stories of working on the Deltics! 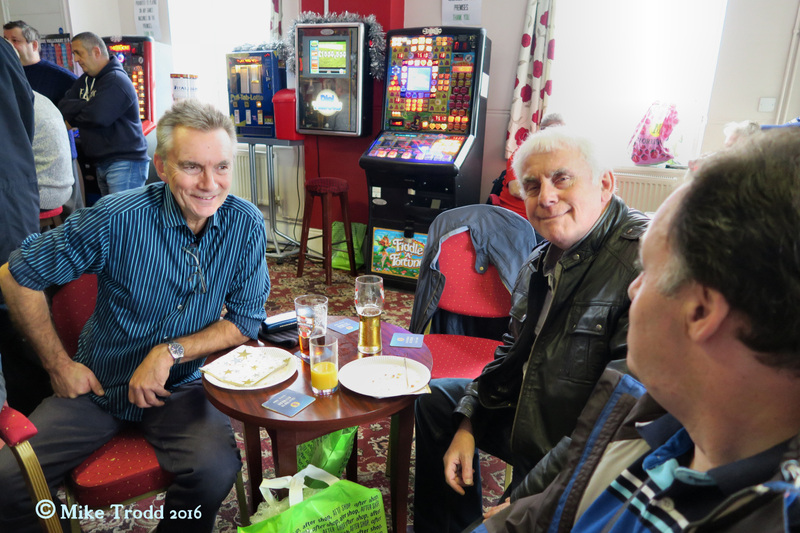 Left ~ Right: Kevin Eade, Roy Luxford (Three Bridges) & John Doyle (Epsom).